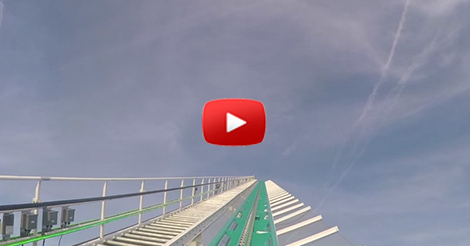 Fury325 is the tallest and the fastest roller coaster that will ever open… but before that, let us all watch this insane test run of #Fury325 at Carowinds from a riders point of view! This thrill ride stands 325 feet tall with an 81-degree initial drop and reaches breathtaking speeds of 95 miles per hour… and this will be open this Spring! This is located the Carowinds in Charlotte, North Carolina… so if you want some adventure, better include this on your list! Adrenaline junkies will certainly not miss this one!